← Does a Massive Flood Confirm China’s Creation Myth? We’ve all heard wild visions of the future. Hearing them from an economist, in a new book from Oxford University Press, makes them seem unusually real. Robin Hanson predicts in “ The Age of Em ” that we’ll develop cheap technology for emulating brains on computers in the next 100 years. He expects emulations, or ems, to be like human brains but able to run 1,000 times faster and be copied. 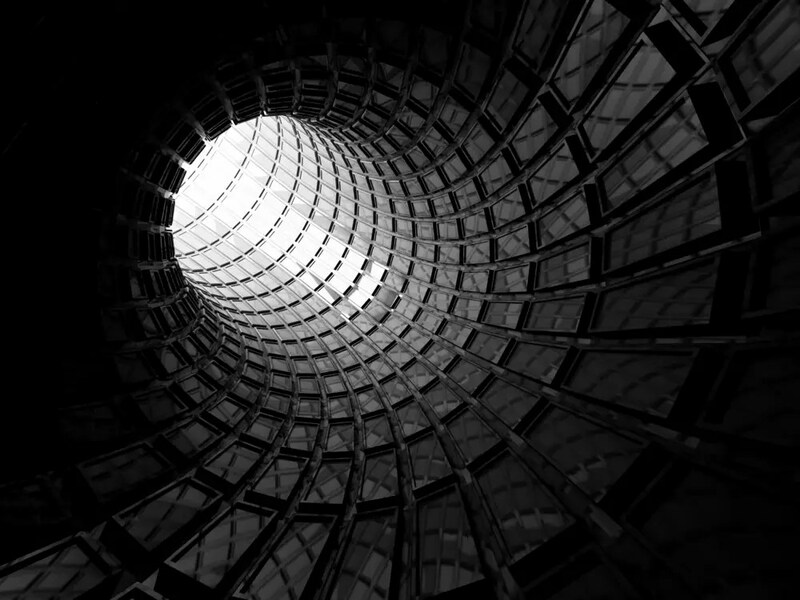 He predicts they will quickly put every human out of work and create a radical new civilization, living by the billions or trillions in a few megacities. Humans who have investments and other protection will do fine in this era, but those who don’t could be screwed. Hanson is an associate professor of economics at George Mason and research associate at Oxford University with degrees in physics and philosophy from the University of Chicago and a doctorate in social science from CalTech and nine years experience in AI research at Lockheed and NASA. Tech Insider spoke with him about what’s coming next. We should have at least several decades before the singularity, when machine intelligence leaves human intelligence in the dust. Enjoy the twilight of the industrial era while it lasts. Hanson expects the coming years to be relatively predictable and pleasant. “People have seen consistent trends not only to individual wealth, but also towards more democracy, less slavery, more leisure, more promiscuity, less religion,” Hanson says. In other words, the world is getting better. “There’ve always been people telling you the world’s getting worse. Objectively, it’s less true today,” Hanson says. Sure, there are risks, but society is increasingly protected against many of them. Pandemics could kill people by the millions, but our technology for fighting them is getting better. War could break out, but that happens less these days than ever. Climate change could be disastrous, but at least some people are preparing for it. Meanwhile, people will keep losing jobs to machines, but it’s happening slowly enough that society can adapt. And then suddenly everything will change. Hanson thinks we’ll figure out whole brain emulation before we figure out human-level artificial intelligence—a view he shares with Google futurist Ray Kurzweil. The idea is that recreating a functionally similar brain computer is easier than creating consciousness through code. If emulations do come first, then the singularity could sneak up on us. Quiet developments in brain scanning, brain cell models, and signal-processing hardware might suddenly allow us to put a brain on a computer, and within a few years it could be cheap enough for ems to conquer the world. Ems, which think about 1000x faster than humans, can do everything a human worker can and more. “The emulations typically work in virtual reality, because most jobs are office jobs, but some of their jobs are physical jobs, like operating a crane or operating a factory or driving a truck or things like that, and for that they have bodies, real bodies, and the bodies are whatever are appropriate for that task,” Hanson says. The only remaining jobs for humans would be based on nostalgia for the old era. “If there are rich humans who just get a thrill out of hiring real human waiters or … even real human prostitutes, perhaps, then those jobs might be done by human,” Hanson says. The ems would quickly take over every almost every corporation and government and start some of their own. Hanson expects the ems to cluster in a few incredibly dense cities, which could emerge wherever there’s a good combination of early momentum and low regulation. Em megacities might rise up in a special economic zone near a major city. Ems might also just push humans out of a prime location. Could ems take over human property violently? Hanson thinks this less likely. He expects ems to act more like giant corporations, growing as fast as possible within legal means. 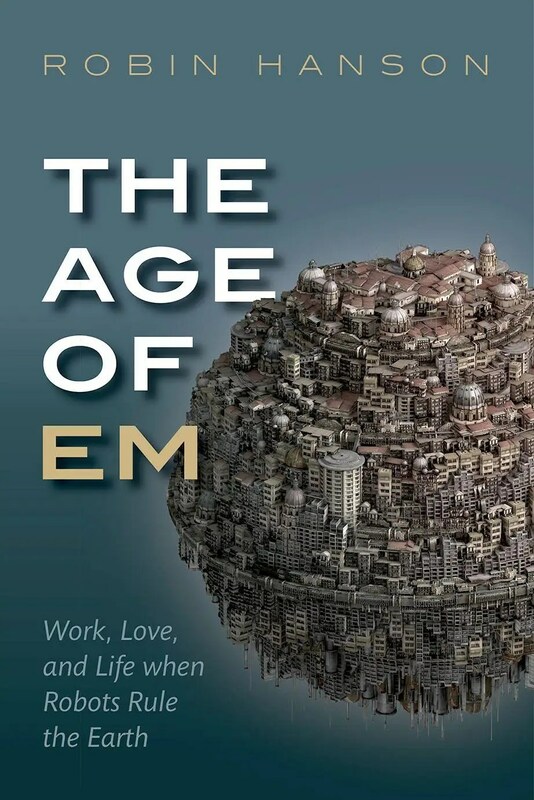 Hanson’s book goes deep into the intricacies of em civilization, how our successors will work, love, live, and more, even while acknowledging that the age of ems might last only a year or two before transitioning to something even strange. The book only glosses over, however, what will happen to humans. It’s not bad for everyone, but it could be for many. In Hanson’s vision of the future, humans who have investments will be in great shape. After all, the economy will grow unimaginably fast with ems at the wheel. “Humans own most of this world, so as it grows, say, doubling every month, then their wealth doubles every month, so collectively humans get very rich, very fast,” Hanson says. These rich capitalists will lives of pleasure, assuming it’s possible to find happiness without meaningful work. They will of course have access to amazing virtual reality and more wonders of the future. Humans who have sufficient insurance or sharing arrangements (Hanson’s terms for various financial structures that will guarantee regular income) will also be fine. Universal basic income? Hanson says this idea would only work reliably if it were implemented on a global scale. Otherwise, any location that tried to fund it alone would risk getting left behind in the rise of ems and having no money left. Thus savvy humans will figure out how to protect themselves. Governments might be able to do it. Rich organizations, possibly including the ems themselves, might do it. Still many humans could be left out in the cold. “There is a substantial risk that a lot of people will be in trouble,” Hanson says. Hanson’s advice for young people today? That means accumulating financial assets, setting yourself up for sharing or insurance arrangements, or—in an unusual option discussed at in the book—trying to increase your odds that some ems will be based on your brain or your descendant’s brain. If you want to increase your likelihood of seeing this era, Hanson advocates another approach: cryogenics. He has been a member of industry pioneer, Alcor, for around 20 years and wears a chain around his neck with instructions to freeze his body when he dies in the hopes that future medicine will be able to revive him. Hanson says the problem with most science-fiction and lots of futurism is that it doesn’t pay attention to things like economics. “His scenario was people made of clay that you could copy your mind into, so it was not computer based, but he works out many of the similar implication about the effects on jobs and things like that,” Hanson says. Hanson had not seen “ Doll House ” by Joss Whedon, which imagines a world where personalities can be uploaded from or downloaded into people, but he points out that it doesn’t go far enough. The truth about the future? It will follow a lot of the same non-fantastic realities that govern the world today. “One indication that I’ve been successful,” Hanson writes in the introduction to “The Age of Em,” “will be if my scenario description sounds less like it came from a typical comic book or science-fiction movie, and more like it came from a typical history text or business casebook. Hanson tells Tech Insider he has recently accepted a grant from the Open Philanthropy Foundation to analyze what will happen if traditional AI reaches human-level thinking before we develop ems. This scenario would play out differently, but with about the same outcome for us. “What happens to humans is going to have to be pretty similar, but it will be more gradual and foreseen,” Hanson says. One way or another, the machines are taking over. Read the original article on Tech Insider. 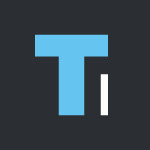 Follow Tech Insider on Facebook and Twitter. Michael Bradley – Time Traveler · The official website of Michael Bradley – Author of novels, short stories and poetry involving the past, future, and what may have been.